Will Professional Grading Add Value to Your Action Figures? The professional grading service grew out of the frustration and disillusionment of the average collector and the problems facing the hobby due to unscrupulous dealers abusing the C Scale grading system, and intentionally misrepresenting a figure’s condition and/or value. Also the hobby was enjoying a surge in popularity, but collectors were losing confidence in the secondary market and this was threatening the market and devaluing figures due to the drop in demand. It was therefore becoming increasingly obvious that a new system was required to restore collectors’ confidence and stimulate the secondary market with a recognized and internationally accepted grading system, and so numerous professional grading services were started up. Probably one of the most popular and most widely accepted of these services is the AFA (Action Figure Authority) Grading System. Once a figure has been given its AFA Grade it is sealed inside a hard acrylic case to ensure its graded condition is preserved, much in the same way as PSA Graded trading cards are. Do You Need Professional Grading? 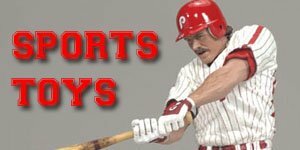 Whether you get your action figures professionally graded is ultimately your choice, however if you plan on selling any of your action figures, particularly any vintage or valuable figures, in the future and you want to get the best bang for your buck, then yes, you should get them professionally graded. Also if you view your collection an investment, then yes, you should at some stage get them professionally graded. After all, if you had an antique painting wouldn’t you get it appraised before auctioning it? Of course, so the same applies here. But if your collection is just that, then I would suggest that you don’t really need to get them professionally graded. Remember that a professionally graded action figure, one that has been graded by a well-known and respectable company such as the Action Figure Authority (AFA) will increase its value, and keen collectors and/or investors will feel more confident in bidding on it or buying it. 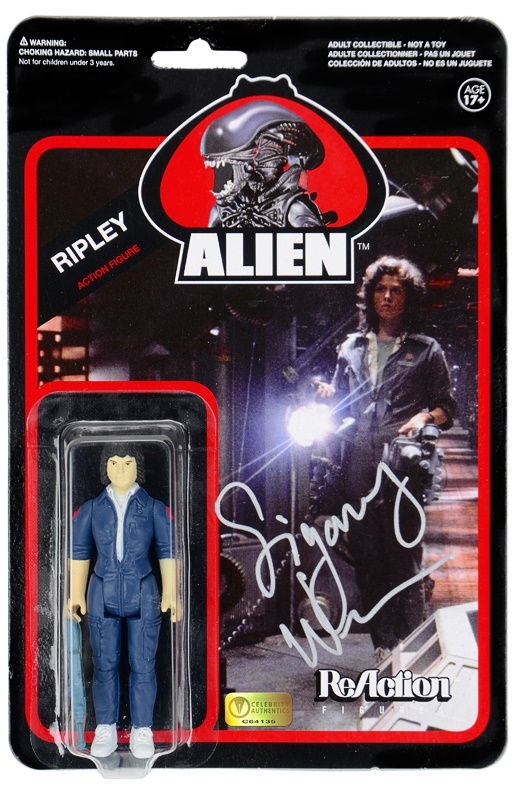 If you are going to pay to have your action figure’s condition and authenticity verified by a professional grading service make sure it is a well-known, established and respected company that you use. As already mentioned the Action Figure Authority (AFA) are highly recommended for this service. Having your action figure/s professionally graded can be expensive, so only get those figures that are either vintage or valuable professionally graded. If you have a new action figure that you have invested in and wish to ensure it stays in pristine condition then I would also advise it being professionally graded. If however your action figure has any minor flaws or damage then it is probably not worthwhile getting it graded. It is usually only 85+ AFA Graded Action Figures (unlike the C Scale, the AFA grade on a scale of 1-100 with 10 being very poor and 100 being Gem Mint) that command premium prices or are in demand with collectors and dealers so any of a lower grade can generally be bought at a cheaper price anywhere on the net. The Action Figure Authority (AFA) was born from a frustration of all the different systems and scales that were being used in the market to grade action figures without any uniformity or standardization. Dealers, collectors and investors of action figures had no universal standard by which to judge a figure’s condition or value and as a result they generally used their own definitions and standards to grade them. Even with the C Scale one mint C10 figure was rarely the same as another. This resulted in the over grading and artificial inflation of many action figures and collectors became disillusioned and frustrated with the hobby, losing confidence in the secondary market and the grading of the figures and so values and demand began to drop. The AFA was launched in order to change this and bring the hobby kicking and screaming into the 21st Century and return consumer and collectors’ confidence in the market. Many dealers, investors and collectors were resistant to the idea at first, and still are, due to the perceived expense of having their figures professionally graded and a fear that they might lose some of their value. Initially this may have been true, but the long term effect has been quite the opposite. Collectors’ and investors’ confidence has returned to the market and it has gained more recognition and respectability now than the hobby ever has before. This will ultimately lead to an increase in the overall demand and market values of the figures and a return of confidence and respectability in the hobby fuelling its continued growth. 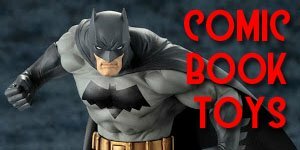 It is because of this upward trend that I am happy to see that the idea is becoming more widely accepted, particularly for rarer and more valuable action figures. More collectors are beginning to demand that valuable figures are professionally graded before accepting them and more dealers seem to be accepting that a valuable action figure should be professionally authenticated and graded. In fact, it has now proved to be beneficial to have your figures professional graded due to the increase in the value of a graded figure. In order to show their integrity and that they take their business seriously all AFA employees are barred from ever buying, or selling AFA graded action figures. So that there can be no alleged conflict of interest, or artificial inflating of prices. • Give the collector the advantage by revealing each action figure’s true characteristics, thus promoting the healthy growth of sight unseen purchases of action figures. • To gain your trust and respect. • To create a consensus that AFA's grading standard accurately reflects the input of all collectors and dealers. 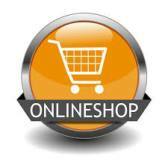 • To promote interest in the collecting of action figures by the safe and enjoyable purchasing of AFA graded figures. The AFA Grading Scale consists of three levels, each with three sub-levels. These are Gold, Silver and Bronze. Once graded each action figure is sealed in a hard acrylic storage case in order to preserve its graded condition. If the figure is at any time removed from its AFA Case then the grading becomes null and void. The Premium level is the AFA Gold level which consists of the grades 100, 95, and 90. The select few figures that receive these grades are among the highest quality in existence. Only a very small percentage of the figures received by AFA receive a Gold grade. The second level is the Silver level which consists of the grades 85, 80, and 75. These are figures that are in excellent condition. A figure graded an 85 will often be referred to as “case fresh” and should be very close to the Gold Level in condition. The term “case fresh” is used because the average action figure pulled straight from a sealed case will grade an 85, as even “case fresh” action figures usually have small flaws which occur when the figures are packaged or shipped in the case. An 80 grade is generally a store shelf action figure which will have a few more minor flaws due to handling and shelf wear and tear. Also there is the risk of sun damage and damage by prying hands. The Bronze Level action figure consists of the grades 70, 60, and below. Action Figures that receive these grades typically have damage ranging anywhere from minor damage noticeable at first glance to extremely significant damage. It may be that the card has creases on the front and the blister may be crushed or cracked. Bronze Level covers a large range of figure conditions and the scope of the flaws ranges considerably. 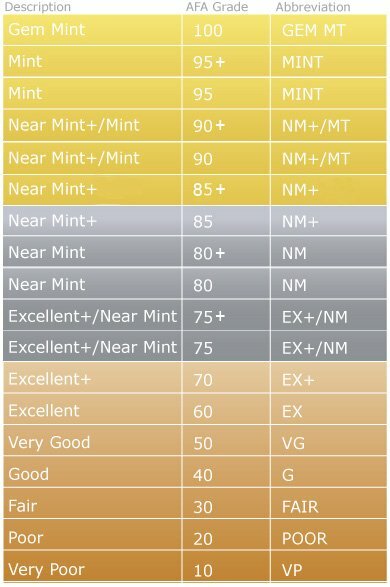 The sub-level or grade of a Bronze Level figure will vary depending on how many 'major' flaws are present on the card and how severe each flaw is. Bronze level action figures generally have major flaws such as a torn off POP or other large paper tears and probably would not be acceptable to condition-sensitive or serious collectors. There are three sub grades for AFA Graded action figures which are assigned for the Card, the Blister and the Figure. Once the grader has established the overall grade for your action figure, they will assign individual grades for each of these three categories. The overall grade is NOT an average of these three grades but is a way to show the collector what part of the action figure is in the best condition. So, for example a card that received an overall grade of 85 with a 90 Card, an 80 Blister, and a 90 Figure will show collectors that the blister has the most damage. 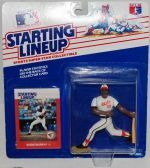 A card that received an overall grade of 85 with an 85 Card, an 80 Blister, and an 80 Figure will show collectors that this particular piece is a low end 85. What Defects Will Affect My Action Figure’sGrade? 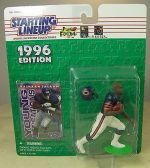 Your Figure: If carded the actual figure will be considered to be in mint condition unless there is an obvious defect noticeable. If the figure has paint wear, discoloration, fading, broken limbs or other signs of wear this will affect the grade. Any accessories will also be graded in a similar way. The Blister: The blister or window is the plastic storage section for the figure. 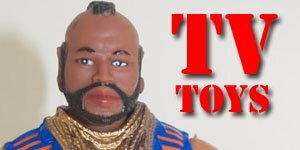 Any dents, breaks, creases or discoloration of this will also have an adverse effect on the overall grade of your action figure. Other defects to check for are sticker residue, clouding, cuts and signs of tampering, i.e. it’s not been unknown of dealers to reseal shop displayed action figures back into the boxes to re-sell. Backing Card: Any creases, tears, surface tears, sticker residue, stains, discoloration, ink marks, breaks, broken ink or print, staple or pin holes, will affect the grade of your action figure. Most action figure backing cards also have a natural sheen or gloss to them and the quality of this will also affect the overall grade. Over the last few years there has been a large increase in the number and variety of action figures available from movies, sports, pop groups/bands, and TV. 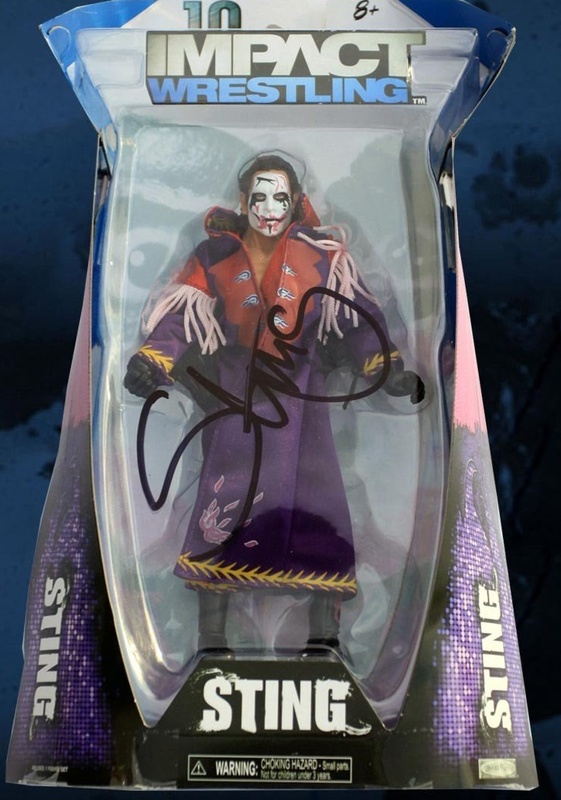 This has also resulted in an increased demand to have the action figures autographed by the star or character depicted by the action figure. • Will it increase the value of the figure? • Does the autograph need to be verified? 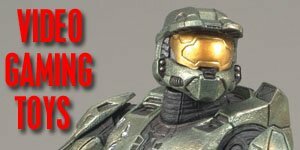 • Will it affect the action figure’s grading if professionally graded? i) Have a photo of you with the star getting the action figure signed. ii) If you get the figure signed at a professionally organized convention you will usually be supplied with a certificate of authenticity (COA). Keep this with your action figure and the photo. 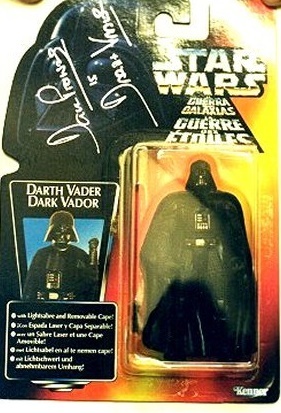 iii) Have the action figure AND the autograph verified professionally, this may need to be done separately. My guess is that with this becoming more and more popular the Professional Grading sites will begin to include autograph verification into their services; however this is an area fraught with dangers and hazards.